SRS Travels has newly introduced 1+1 AC Cabin Sleeper on Belgaum – Bangalore route from 30th November 2013. 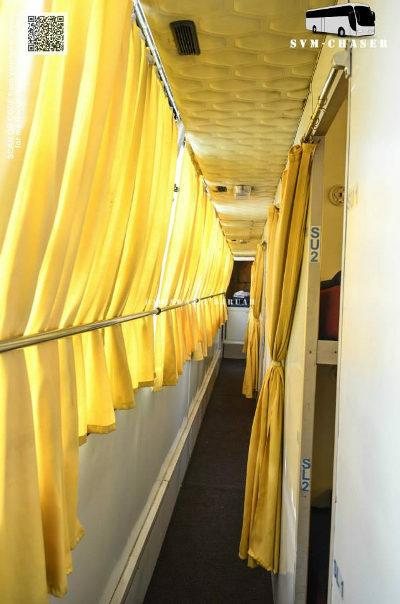 This is the first of its kind service on this route, in which there are total 24 individual single berths in the coach. 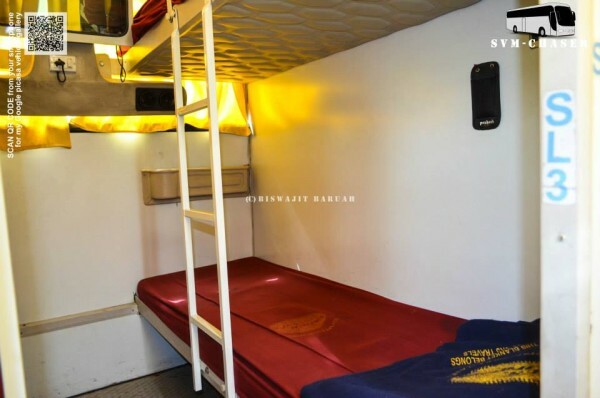 The coach is divided into 6 cabins of 4 berths with a 14 inch LCD for each cabin. According to the new safety norms, emergency break glass hammers have been placed in each cabin in case of any emergency. The bus also has one rear exit with a emergency break glass hammer placed near it. The one way fare is Rs 850/- from Belgaum to Bangalore and vice versa.